No confidence vote planned against Corbyn as 35 shadow ministers resign in protest, demanding Labour leader resign. 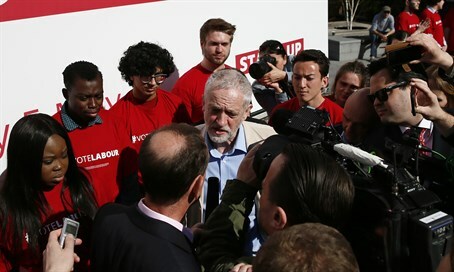 The UK’s scandal-ridden Labour Party inches closer to open insurrection against party chief Jeremy Corbyn following the Brexit referendum vote last Thursday. Nearly three dozen shadow ministers have resigned, demanding Corbyn step down as party leader, following the failure of the ‘remain’ campaign. Corbyn, who had for four decades supported Britain’s departure from the UK, became an erstwhile supporter of ‘remain’ ahead of the historic vote. Labour, which earlier this year was wracked by a flurry of scandals involving anti-Semitic comments by MPs, city councilors, party activists, and even a former Mayor of London, is now being torn between Corbyn loyalists and those seeking to unseat him. The party’s parliamentary delegation is scheduled to hold a vote of no confidence against Corbyn on Tuesday, who has indicated that he will under no circumstances step down as party chief. “I am not going to betray the trust of those who voted for me – or the millions of supporters across the country who need Labour to represent them,” said Corbyn on Sunday. The departure of 35 shadow ministers has forced the Labour leader to promote a number of loyalist MPs elected last year. Labour MPs pressured Corbyn on Sunday to resign in a party meeting that soon turned ugly. The Telegraph reported that Labour members were close to tears at a meeting MP Chuka Umunna described as “pretty catastrophic”.